As in residential real estate inspections, a commercial property should have inspections as well, especially if you're purchasing not only the building or business but the land as well. A commercial inspection is slightly different than a residential inspection and should be handled by a qualified commercial inspector. A full property inspection is the key to ensuring that the commercial space you are leasing or buying is free from any issues that could have a huge detriment down the line. It's important to have a third-party professional that has no alternative motive or bias in the process or purchase. We encourage all of our buyers to accompany the commercial inspector throughout the property paying close attention to the condition of items such as parking lots, landscaped areas, excessive potholes or cracks in the cement, building damage, mold, mildew, and any previous repairs or updates. It's important to walk the perimeter of the building and check the structure itself for integrity. Commercial inspectors will typically have the equipment to identify any complex structural or foundational issues. After an extensive walk-through of the inside and the outside of the building and property from top to bottom, it's important to understand how to negotiate once you've learned any and all issues that come along with the property. Any serious issues you find during a property walk-through should be discussed with the current property owner and any repair of these issues can work to your benefit to give you leverage in price negotiations. As with a residential inspection report, what is found can be negotiable on either the purchase price, certain repairs, money off, or money at closing if applicable. Accessibility, which includes emergency access and disability access. At the end of the inspection, you should have all the information you need to enter in negotiations with the property owner or manager. If you are buying the property rather than leasing, you may be able to negotiate a lower price to compensate for any outdated systems or needed repairs. If it's a rental transaction and you are leasing the property, the inspection results can that you a better lease term or perhaps convince the owner to at least make the repairs before you finalize the documents. Building issues can have a huge impact on finances, business, operations, and legalities so it's important that you, the building, and your employees, as well as customers, are safe and every standpoint. 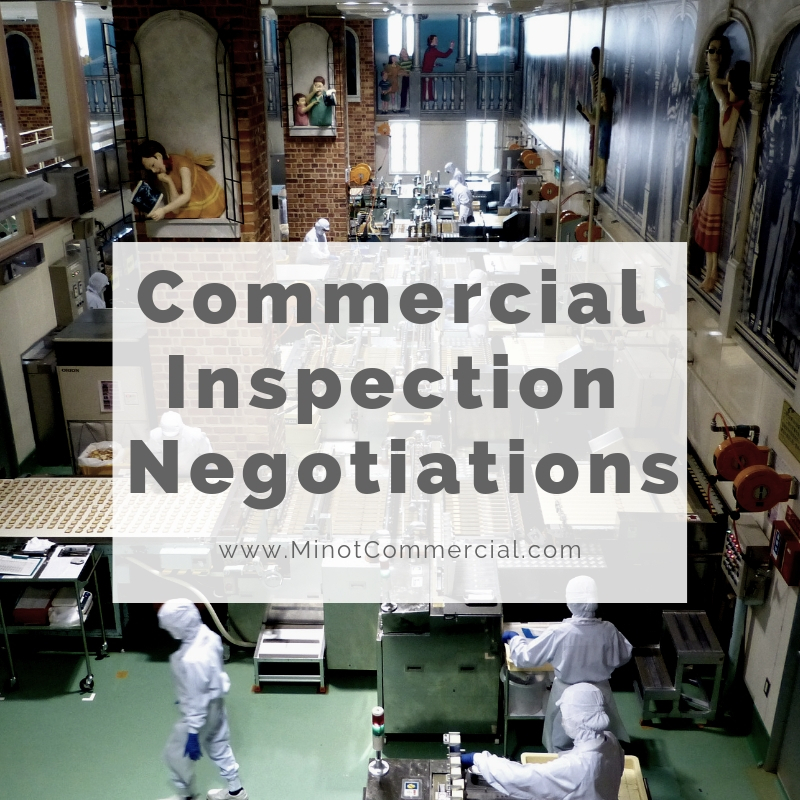 Inspections can turn up major problems and allow you to walk away from the situation, so don't neglect this vital component of the commercial purchasing process. What Happens When the Inspection Shows Unpermitted Work? Should I Buy Property from Craigslist?